Today, I’ll talk about how to crack WingIDE Professional 4.1.12. 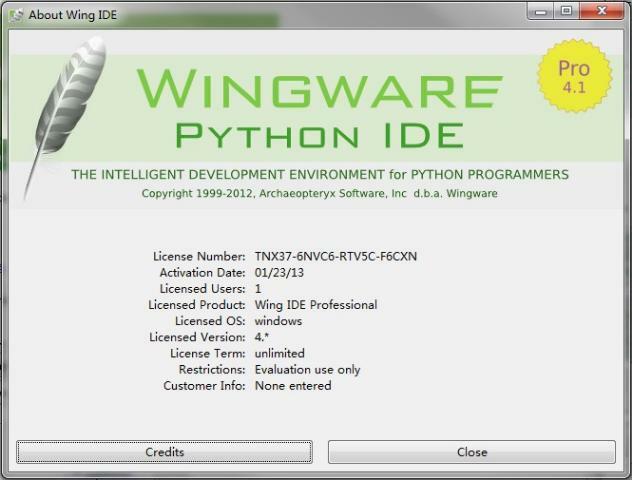 Wingware's Python IDE is an Integrated Development Environment designed specifically for the Python programming language. Since 1999, Wingware has focused on Python. You can download WingIDE from http://wingide.com/downloads. It’s a cross-platform software and the latest version now is 4.1.12. It has three different versions: WingIDE 101, WingIDE Personal and WingIDE Professional. How to Crack WingIDE Professional 4.1.12? After install Python and WingIDE on your computer, DO NOT run WingIDE first. You should change system time to a month ago. Then launch WingIDE and you can get a 10-day trial serial number for temporarily use. After that, exit from WingIDE. Open the installation folder of WingIDE, and open /bin/2.5/src.zip. Extract the file abstract.pyo in the process folder. The file is used for validating the software. The file abstract.pyo is a bytecode in Python, so we should disassemble it and analyze it. Now, we need a tool called unpyclib library, and you can get it from http://pypi.python.org/pypi/unpyclib/0.8.1, and extract it. Please notice that, if you use python 3.x or higher, you cannot run it properly (I even tried to translate it to python3 code by using 2to3 library which is supplied by python, but it still doesn’t work). So, please use a lower version of python. And you will get a new file abstract.asm in the current folder. 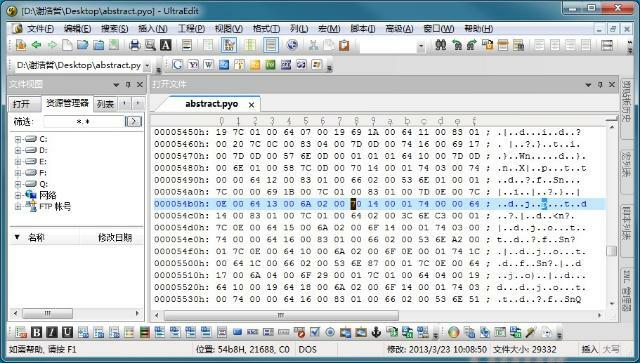 The file is used to analyse the file abstract.pyo. 00000259     6A - COMPARE_OP          "=="
The most important step is to change 6F to 70. But how to change it? You need a binary editor such as UltraEdit. First, seach “A9 03 00 00 74 00 00 64 01 00 83 01” in the file abstract.asm, and you will find an address at the front of the line: 00005257H. Next, find another line “6F - JUMP_IF_FALSE-> 00000273”, and get another address at the front of line: 0000025CH. So the address we should modify in the abstract.pyo is 00005257H + 0000025CH = 54B3H. After modify it, replace the file abstract.pyo in the /bin/2.5/src.zip/process/ with the new one. Before launch the WingIDE, please change the system time to now. And you’ll see the WingIDE has been cracked.